Coffee - whatever you call it, we all love it. The gang here at Amazeballs certainly enjoy a cup (or five) on a daily basis. We need our fix whether we are slaving away in the office or out on the road in search of some awesome stuff, like the Handpresso! 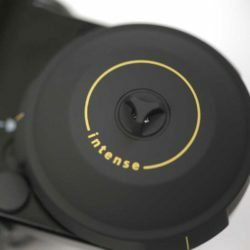 This range of portable espresso machines (yes, PORTABLE!) 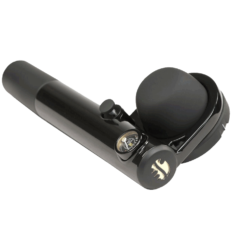 allows you to make the perfect brew wherever you find yourself The Auto range plugs into your car - and the Pump can stay by your side. 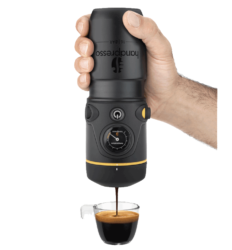 Handpresso constantly develops new solutions to enable you to drink a genuine espresso or a tasty coffee where it was never possible before. 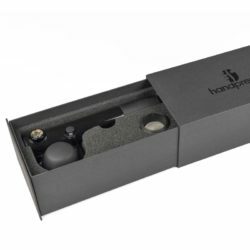 Simplicity is at the core of the Handpresso concept. 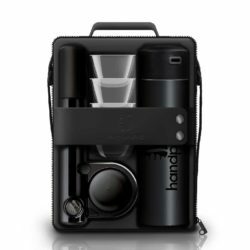 Simple in design, these attractive portable machines are also simple to use to make great coffee wherever you are. The Handpresso coffee break is above expectations. 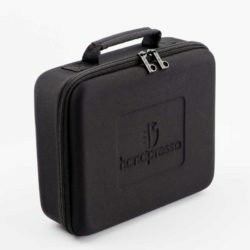 Thanks to the 16 bar pressure, Handpresso produces creamy top quality espressos wherever you like! 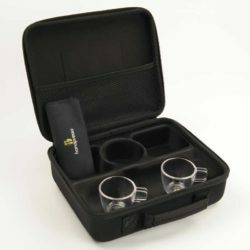 The Handcoffee Auto machines enable you to prepare great 80 to 110 ml coffees in the car. 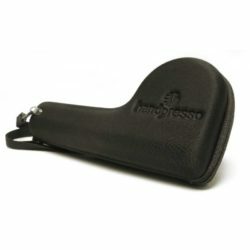 Handpresso lets you leave the office or the kitchen and enjoy a good coffee when travelling, during your leisure time, during weekends away or on holiday. 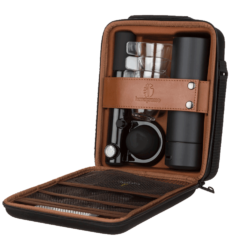 The coffee break is a time to share that Handpresso has created for you both indoors and outdoors, at home and elsewhere. 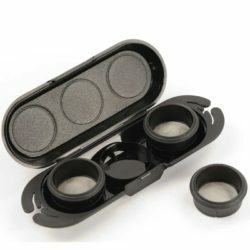 What Type Of Ground Coffee Can I Use? The ground coffee has to be espresso coffee with a much finer grind than other standard ground coffees. In order to ensure perfect operation, make sure you regularly oil your machine. Pour a few drops of cooking oil on the shaft of the pump and pump a few times to oil the O-rings which are inside. This maintenance is also to be done on the infusion button in order to prevent it from becoming too hard to use. To descale the water reservoir of your machine, fil lit with white vinegar and rinse under running water many times. 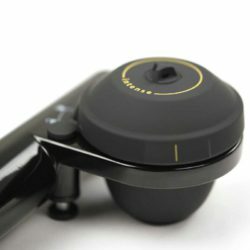 Check that the pod used is an E.S.E. standard pod. Beware not to soften the pod by handling it. Some roaster’s pods are not tamped in the same way, in order to make a reference test, try to make a coffee with a pod with the E.S.E. logo. 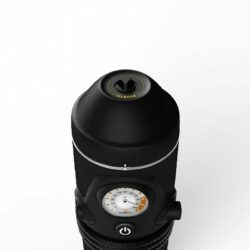 If after having used the right pod, your coffee is still brewed too quickly, we recommend to use an « Intense portafilter », which slows down the extraction of the coffee. The ground coffee has to be espresso coffee, with finer grinds than standard ground coffee. 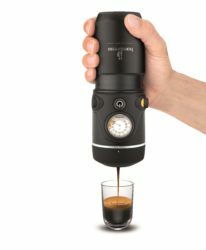 The coffee has to be tamped in the ground coffee adapter, use the tamper in order to do so. 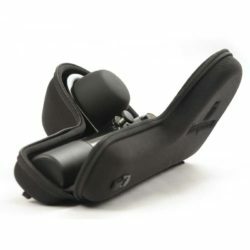 It is recommended to fill and tamp the coffee several times in the ground coffee adapter so the coffee reaches the border of the ground coffee adapter. If after having used the right grind and tamped the coffee properly, the coffee is still brewed too quickly, we advise you to use an « Intense portafilter », which slows down the extraction of the coffee. Your pod may have been damp, which slows down the extraction of the coffee. To avoid the problem, we recommend to pump up to 16 bars, add hot water and place the pod at the end. 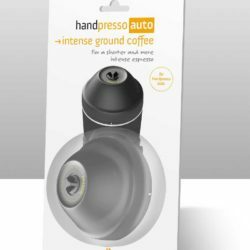 If your machine still does not work after these checks, please contact Handpresso’s customer service. 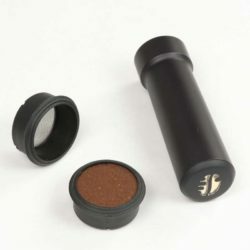 You may have tamped the ground coffee too hard in the ground coffee adapter, give another try by tamping it a bit less. Make sure that you are using hard E.S.E. pods and not souple pods. Try with a pod with the E.S.E. logo to make a reference test. Make sure not to have poured too much water in the reservoir, it may dampen the pod. Use the water level indicators, stop pouring water as soon as the last but one indicator turns black. Have you heard the 3 bleeps at the end of the cycle ? You can hear them approx. 2min30 after having started the machine. Start the engine of your car. Once the engine is running, the battery has more power and can heat Handpresso Auto machine more rapidly. Our machines are fitted with a safety device, they automatically turn off after 3mn40. If the power of your battery is low, the machine will stop after 3mn40 even though the water is not warm enough. Do not hesitate to restart the machine a second time, after that the coffee will be at the right temperature. Do not worry if the pressure does not increase during the second cycle. I'd Like A Larger Coffee, Can I Just Add More Water? By pouring more water than necessary (ie 50 ml), the machine will have defects (spills, leakage leading to electronic fault). You have to stop pouring when the last but one water level indicator turns black. 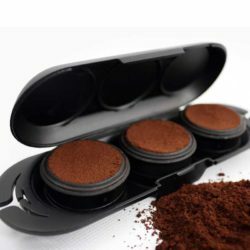 What Type Of Ground Coffee Must I Use? Fill coffee in the ground coffee adapter and tamp with the tamper. Fill again till the Domepod is full.